Also starring Sarah Palin, Mitt Romney, Newt Gingrich, and introducing Donald Trump as the Rug Man! 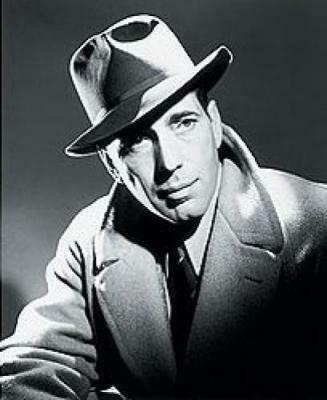 Sam Spade --- Humphrey Bogart. What can I say? 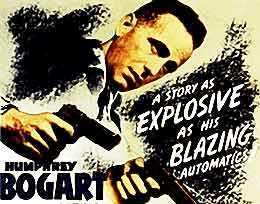 When Humphrey Bogart was my age, he was already dead. Look at what he achieved! Me? I can’t even open a jar of midget gherkins. Spade's Voiceover --- Yes, you’re going to get to hear the innermost thoughts and comments of Sam Spade himself. What? No voiceover in the original Maltese Falcon? Well, I’m not exactly John Huston either! Governor Sarah Palin --- Sarah Palin. Say what you will; she’s a hell of a lot better looking than Mary Astor from the original film. How was it that Astor was considered hot, even back in the day? Kasper Trumpman, a/k/a The Rug Man --- Donald Trump. As with Sydney Greenstreet, Donald Trump makes his film debut here at over the age of 60. In Trump’s case, it could have waited way longer! The Gunsel --- Newt Gingrich. Lizard-like, low-rent, and as we members of the Tribe would say, “tuchas-faced.” Elisha Cook Jr. would be proud! Plus Ward Bond, Barton MacLane and all your other favorite forties actors that nobody except older Boomers like me remember. Spade's Voiceover: San Francisco is a city of some half million people. That's a lot of folks with a lot of different hopes, dreams, and aspirations. Me, I'm just another one of the half million. But my line of work is a bit different from most of the other suckers. I'm Sam Spade, Birth Certificate Private Eye! My job is to track down and locate missing, stolen, and/or filed in the wrong manila folder Certificates of Birth. How did I get into this racket? It’s a slimy disgusting business, filled with depraved, revolting, amoral sleazebags ---- even the ones who aren’t lawyers. But for me, it’s home! She was one tasty brunette, with a kind of firm but feminine jaw line and lips that said “if you wanna kiss me, you better be willing to gut Medicare first.” Dressed from head to toe in red, she reminded me of an explosion at the Crayola Factory! Palin: Are you Sam Spade, Birth Certificate Private Eye? Mr. Spade, I need your assistance! Spade: Now just hold on, sister! I don't function too well until I've been properly introduced. Palin: Oh, I am sorry, Mr. Spade. My name’s Palin … Sarah Palin. Former Governor of the State of Alaska Sarah Palin. Spade: That's much better. Yes, Governor Palin, I believe I recognize you from the dartboard down at Keith Olbermann’s joint on 32nd street. Now what can I do for you? Palin: It’s my sister Michelle, Mr. Spade! She’s taken up with a shady individual named Thursby. I have reason to believe he’s trafficking in an original Joan Rivers birth certificate! Spade: An original Joan Rivers! That’s written in Middle English, no less! This guy must play for keeps! Palin: Mr. Spade, I want Michelle away from this horrible man! Get him drunk, lure him off with promises of racy photos of Mary Landrieu or Mrs. Clinton or Ruth Bader Ginsberg, whatever you have to do! Spade: OK, Precious, I get the picture. You want me to get Michelle to repudiate Thursby. Palin: Exactly, Mr. Spade, how did you know? Palin: I can see you’re packing heat, Mr. Spade; that’s good! Ohhhh, that Second Amendment! Sometimes it just makes me lose all control!! Spade: Well, then, remind me to read it to you some evening over a bottle of bourbon. Leaving out the “militia part” of course. Palin: You are quite the rogue, Mr. Spade, and I think I’m going for you! (Why…. I might be coining a term here!) Will you handle the case yourself for me? Palin: Wonderful, Mr. Spade. Oh, and …. Sam…. if you need something - anything - all you have to do is whistle. You know how to whistle don’t you? You just put your lips together and…. Spade’s Voiceover: (cutting her off) We’re going to give that line a quick two dollar haircut! Plays a lot rougher by year 2011 standards than it ever did in 1941! Spade’s Voiceover: I wrapped up the case with Huffington that night a lot earlier than I’d thought. Turned out her birth certificate was from a place called New Jersey. Couldn’t wait to collect the big fee I was sure I'd get from her! I went home, had a couple slugs of bourbon, and hit the sack, enjoying a Freudian dream about hunting elk in my birthday suit with the intriguing Governor Palin …. Then there came a banging on the door like the Ringo Starr drum solo at the end of Abbey Road only more inventive. It was 2:30 A.M. I put on my robe and opened the door to my old pal, down-to-earth regular guy Police Sergeant Tom Polhaus and his boss, tough no-nonsense bordering-on-sadistic Lieutenant Joe Dundy. Yep, Central Casting, you’re on the ball! Spade: Oh, no! There isn’t going to be another season of Curb Your Enthusiasm!? Polehaus: No, Sam. It’s Miles. He’s dead. Shot through the heart. Spade: His second favorite organ! You guys want coffee? Dundy: And there’s more news, Spade. The man he was tailing -- Thursby. He’s dead too! Spade: Really? You take cream with that? Polehaus: Sam, it seems that Frisby was following Thursby late Thursday night when he was shot full of lead. Several hours later, Thursby was shot full of lead. We’re running out of lead and we’re not even halfway through the picture! Dundy: You see, Spade, Frisby was shot on Thursday and Thursby was shot on Friday. Spade: Try saying that fast five times! Dundy: You’re not taking this seriously, Spade! I think you killed Frisby, if not Thursby too; you had a motive. Spade: What was that, Dundy? Dundy: You were shtupping Frisby’s wife! Polehaus: Oh now, Joe! Sam’s a good egg. At least as far as totally amoral sleaze-bag wife-shtuppers go! Spades's Voiceover: Dundy and Polehaus departed after briefly complimenting me on the tasteful renovations underway at my apartment since I’d has hired Nate Berkus as my interior decorator. Yeah, that Oprah sure knows how to pick ‘em! But something was bothering me. I knew then that Precious Palin hadn’t been playing square with me. Not only that, she hadn’t been playing triangle either, which is really my favorite instrument! I called her at her hotel, informed her Thursby and Frisby were dead, and told she had to come right over. I was expecting histrionics --- not that I thought she knew what the word meant --- and I wasn’t disappointed. Palin: (entering Sam’s apartment) Histrionics, Sam? What does that mean? Spade’s Voiceover: As I said, I wasn’t disappointed. Spade: It means this: that story you told me yesterday was just a story. There is no sister! There is no Michelle! Palin: You’re right, Sam, there is no sister. There is a Michelle, but the less said about her the better! What can I do to get you to trust me? Spade: Not having all your lines of dialogue written on your left hand would help! Palin: You've got to believe me, Sam. Yes, Thursby was my partner but I’d no idea anyone would be killed. Oh, you must help me, Sam. You're brave. You're strong. You lift things up and put them down! Spade: You’re good, you’re very good! So good you almost make me want to sign up for a death panel! Palin: Yes, I deserve that, Sam. I can only tell you that Thursby and I were searching for…. the world’s most valuable birth certificate! Spade: My God! A Larry King! If it weren’t for the Rosetta Stone, we’d never be able to read one of those! Spade’s Voiceover: Just then, there was another banging at the door. That Ringo Starr must’ve been the luckiest guy in show business … after Tracy Morgan, that is! I opened the door…. Cairo: Hello, Mr. Spade. My name is Mitt Cairo. Spade: Oh. Look what the Presidential Exploratory Committee just dragged in! Cairo (entering): Mr. Spade, I seek your assistance in locating an important object that has been unfortunately lost or stolen. Or maybe it’s just in the wrong manila folder. (Seeing Palin.) Oh, hello, Governor. I'm delighted to see you again. Palin: Hello, Mitt. How’s that Massachusetts Mandatory Health Care Plan workin’ out for you? Spade’s Voiceover: In a rage, Cairo pulled a gun on both of us! That’s not something I can abide, although I think I saw Palin give a look like she wanted to slip the gun her phone number. I tackled Cairo, disarmed him, and slapped him down. Cairo: You slapped me! Who do I look like to you? Larry Fine? Spade: When you're slapped, you'll take it and like it! Well, you don’t actually have to click “like” on my Facebook page, but I’d appreciate it! Cairo: Mr. Spade, Ms. Palin and I seek the same thing ---- A birth certificate of immense importance. I will pay you a sum equal to the cost of hair gel I use in a day to help me locate it. Spade: What is this crazy birth certificate? Why is it worth the life of two men? Cairo: Two men are killed? I hope they weren’t voters! Palin: (ominously) It was the Rug Man. He’s in San Francisco! Cairo: (in fear) The Rug Man! Spade: Who is the Rug Man? Why is he called that? Palin: If you saw him, Sam, you’d know. If you called 800 - 588 - 2300 EMPIRE, you couldn’t get a worse job! Spade’s Voiceover: Just then the phone rang. It was my loyal secretary, Effie. Funny how in the forties every other dame seemed to be named Effie. Guess that makes up for the fact that there probably won’t be another Effie until the century in which Star Trek takes place. Spade: (to Palin) Precious, what does “gunsel” mean? Spade’s Voiceover: Look who I was asking! Precious didn’t even know the meaning of regular words! There came another knock at the door. Spade: (as the gunsel enters) Yuck! You’re even more weasily and tuchas-faced than I expected. Spade: (laughing) The cheaper the crook, the gaudier the patter! Your patter is so gaudy it reminds me of Celo Green at his son's bar mitzvah! Spade’s Voiceover: Gunsel Gingrich took all three of us over to Trumpman’s hotel room across town, where I was given a royal welcome! Rug Man: Welcome, sir, welcome! Make yourself feel right at home. Just as if this were Pee-Wee’s Playhouse. Spade: Well, if this is Pee-Wee’s Playhouse, I don’t think I care to sit on the sofa. Rug Man: Ha! Ha! By gad, I like a man who won’t sit on the sofa in Pee Wee’s Playhouse! Spade: I see why you’re called the Rug Man. I didn’t realize you were also so bloated and fat! Palin: (contemptuously) Yeah! He’s a stuffed pig! Cairo: (making conversation) Do you like suckling pig, Mr. Spade? Spade: No, as a rule, I never like anything that’s looking at me while I’m eating it. Fortunately that doesn’t come up very often. Rug Man: Ha! Ha! By gad, I like a man who doesn’t like anything that’s looking at him while he’s eating it. Spade: Well, the way it’s going, I hope you at least check “like” on my Facebook page! Rug Man: Ha! Ha! By gad, I like a man who hopes I at least.... oh, the hell with it! Let’s get down to business. Spade: Yes, let’s. Let's talk about the Certificate of Birth in question. Rug Man: Mr. Spade, it is nothing less than the fabulous but monumentally elusive Maltese Birth Certificate! Spade’s Voiceover: The only Maltese I knew anything about was a little dog my ex-wife used to own. In those days, my leg got humped a lot more often than I ever did! Spade: I’m afraid I don’t understand, Mr. Trumpman. Rug Man: It is the actual birth certificate of the audacious man posing right now as president of this very country, the birth certificate that proves that one Barak Obama was born not in the United States of America, but on the Isle of Malta! Spade: That’s quite a claim. How did The Maltese Birth Certificate come to be? Rug Man: In 1961, Mr. Obama’s socialist, communist, Burl Ives–listening parents stopped off on the Isle of Malta on their way to Moscow for the annual Joseph Stalin Mustache Look-Alike Contest. There they had a child, Barack Hussein Obama, whom they hoped could develop a substantial enough milk mustache to win the contest. Spade: I see. So whichever one of you can best rob and cheat and steal your way to possession of The Maltese Birth Certificate will become the Republican front runner for President …. Rug Man: By gad, you are a flatterer, sir! Palin: But, Sam, regardless of which one of us finds The Maltese Birth Certificate, all of us will benefit! Rug Man: It’ll be no billionaire left behind! Palin: An assault rifle in every pot! After first using it to blast to smithereens the chicken in every pot! Cairo: An environment as polluted and degraded as each one of us! Rug Man: Mr. Spade, we last learned that The Maltese Birth Certificate was in the hands of another one of Governor Palin’s so-to-speak confederates, a Captain Jacoby. Gunsel Gingrich paid a visit on him but shall-we-say failed to convince him to work with us. Spade’s Voiceover: Just then the phone shall-we-ring rang. Effie had tracked me down at Trumpman’s with quite a story. Seems Jacoby had staggered into my office inconveniently bleeding to death, and handed her The Maltese Birth Certificate for safe keeping! Think that’s contrived? Better never see the original picture then! I told Effie to clean up all the blood, do a little light dusting, and deliver The Maltese Birth Certificate to us at Trumpman’s hotel room for all five of us to finally gaze upon! Sam’s Voiceover: Within minutes, Effie delivered The Maltese Birth Certificate and it was placed on a table in front of the co-conspirators. Spade's Voiceover: The Rug Man began to inspect The Maltese Birth Certificate from every angle, caressing it with an almost lascivious lust while the others salivated copiously from a distance. You’d think it was a Happy Meal which included the best toy ever for kids under three! The Rug Man took out a knife and repeatedly scraped it across the paper upon which the certificate was printed, apparently to re-assure himself that it wasn't a …..
Rug Man: (furious) Fake! No, no, no! It's a phony! It's as fake as Heidi Montag’s breasts! Cairo: (panicked) How can you tell? Spade: A swell lot of thieves! And I just now heard on NPR that the President has released his long form birth certificate from Hawaii! Spade’s Voiceover: For a moment the Rug Man seemed so thoroughly distraught, so emotionally devastated, so completely destroyed by the utter failure of his multiple year quest that he almost changed his expression. Rug Man: (recovering quickly) Oh, well. Come, Gunsel Gingrich! Mitt, Mr. Spade …. Care to join us on a quest for our second most desired holy grail: a lock of Joe Biden’s scant hair, the DNA of which proves conclusively he is a Martian seeking to secure a steady Republican food supply for his dying planet? Spade’s Voiceover: No,thanks. Think I’ll sick around here and help the Governor plan the next 15 years to life of her political career. Rug Man: By gad, I'd like to have you along, sir. You're a man of nice judgment and many resources, and as a non-Tea Bagger, someone with an IQ in double figures! Spade’s Voiceover: The Rug Man, Cairo, and Gunsel Gingrich departed, but I knew they wouldn’t get far before being picked up by Polhaus for Jacoby’s murder. That left me with one final loose end --- the deceitful, ruthless, yet beguiling Governor Palin. Spade: Now, Precious, give me all of it fast! When you first came to my office, why did you want Frisby to follow Thursby? Palin: Oh, Sam, I just wanted to scare him so he'd stop asking me for a cushy do-nothing federal job if I become President. Sort of like head of the EPA. Spade: That's a lie! You hoped Frisby would shoot Thursby, but when Frisby didn’t shoot Thursby, you shot Frisby hoping Thursby be blamed for shooting Frisby. When Thursby wasn’t blamed for Frisby, you shot Thursby, having already shot Frisby. Palin: Yes, Sam, I did do all that stuff, that's true. But I still can't diagram that sentence! Spade: Okay, let’s try this: You killed Frisby on Thursday! Then you killed Thursby on Friday! Good thing for me there isn’t any Spadesday! Palin: (sobbing) Okay, yes, yes, that’s right. But Sam, from the first moment I saw you…..
Spade: Don't try it, Precious! You're taking the fall. And I don’t mean the election in the fall! Palin: Stop it! You know down deep in your heart and in spite of anything I've done I love you. Spade: I don't care who loves who! Hey: “Who Loves Who?” Sounds like a good name for a musical comedy! Palin: Sam, don’t say things like that even in fun. Oh, I was frightened for a minute. I really thought...You do such wild and unpredictable things. Spade: I won't play the sap for you! I never learned how to play the sap anyway --- or the square or the triangle for that matter. I’m just not that musical! Palin: Oh, Sam, you’ve been toying with me. You don't love me! Spade: I won't walk in Thursby's --- and I don't know how many others --- footsteps, especially if I’m walking in Central Park on 59th Street where all the horse and buggies are! You killed Frisby and Thursby and you're going over for it. Palin: Going over what for it? Spade: Over easy for it? Over Niagara Falls in a Barrel for it? Who the hell knows?! I can’t keep up with all this smartass Dashiell Hammett patter forever! Palin: You know whether you love me or not. Spade: Maybe I do. Well, I'll have some rotten nights after I've sent you over, but that will pass. I’ll take an Ambien. I’ll watch a Farrelly Brothers movie. The chances are you'll get off with life, which means if you're a good girl, you'll be out in 20 years. I'll be waiting for you. Then again, maybe not; you’re not that great looking! You’re only halfway decent compared with someone like Mary Astor! Spade’s Voiceover: Polehaus and Dundy arrived, and I handed over Precious Palin to them. She walked off … a bit defiantly perhaps, perhaps not. I was going to make sure she got some newspapers and magazines to read in the big house, but I know she loves to read “all of them,” and I just can’t afford all that many! I was looking down at The Maltese Birth Certificate --- the cause of all this needless strife and stupidity --- when Tom came up behind me. Polhaus. What is that, Sam? Spade: The stuff that Tea Party dreams are made of. Spade: In a couple days, all of us would probably be saying the same. Very cute. The "voice" of the piece is really Sam Spade. Fun! Thank you, Ilil! I really appreciate your reading it. It's what dreams are made of!